Marc’s Taxi Service and Tours St. Lucia is a family ran business located in the picturesque community of Soufriere, St. Lucia. We offer quality service and our Taxis are safe and reliable. 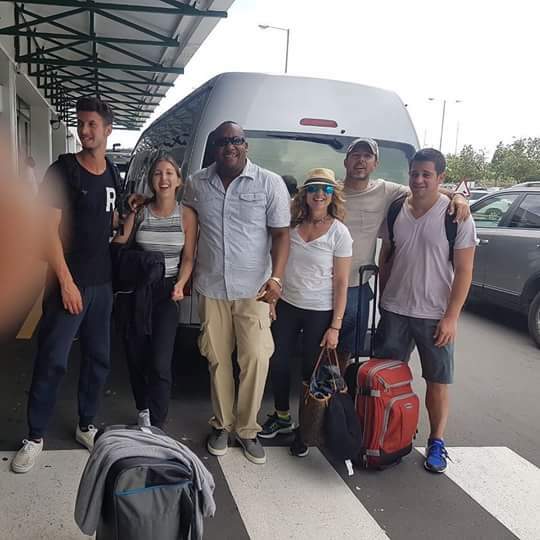 Our specialties are Airport & Seaport Transfers, dinner & shopping trips, Volcanic mudbath at the Soufriere Volcano(The world’s only Drive-in Volcano) and so much more breathtaking excursions at affordable prices! We are here to make you feel comfortable, we strive to deliver excellence in customer service. Call to book us using the number on the side or email us, we will be sure to get back to you as soon as possible. “Welcome to something different”. Marc’s Taxi and Tours are reliable, prompt and totally dependable. Their tours off a range of places to visit and you are given proper information. I highly recommend them for your next St. Lucian experience. We loved working with Marc’s service with his team and had all wonderful experiences. They went out their way to help us and we did four different excursions. All were so nice, the driving was great. always they were on time and courteous, friendly–they made extra time for us to stop in town and get supplies. Great guys! Tour of the “Banana Plantation” with Kevin. Very knowledgeable young man. Thank you for your Excellent Service. We highly recommend these guys. We use them for all our transfers while on island, we spent our time here mainly on business. Connecting with Marc and Co made it way easier for us. Thank you! Congratulations Marc’s Taxi Service you continue to climb the lights with your safe driving, extreem excellent service and competent knowledge of your Nation, St. Lucia. We are looking forward to even better relations. Blessings on this new site. This company is well known for it’s excellent service. We used this company on several occasions and we have no regrets. The drivers are very polite,friendly and always on time. I would highly recommend this service to anyone. Best TAXI service guaranteed. Outstanding service from this company. Very professional and friendly drivers, and the list goes on. You won’t regret choosing this company. 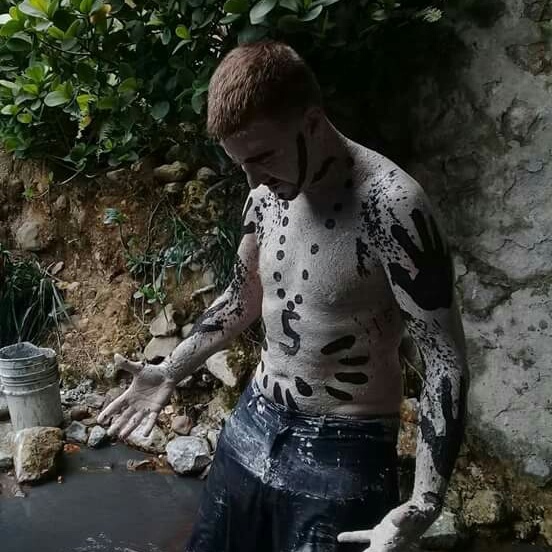 Marc personally met us at the airport and performed several local excursions including mud baths, volcano drive and a full day island excursion. I highly recommend a full day island trip where you get a chance to see some local hidden gems inaccessible to tourist public. Marc made several stops at local cafes where we tried local food, got to see some unique off-the-beaten path places including rainforest, waterfalls, Piton drive, arts-and-crafts village, among other things. When a medical emergency arose, Marc personally visited local pharmacy for us, which is why I highly recommend his services. St Lucia is a unique beautiful island with lush forests, scenic hilly rides and great beaches. Due to being unused to a left-side-traffic with many zig-zagged mountain roads, we chose to hire a driver instead of car rental. Highly recommend to hire a driver first, before you decide to rent. For personal & professional service Marc is the best! He made a long trip from the airport to hotel very enjoyable. Highly recommended! Phenomenal Service! Very helpful and reliable. Would highly recommend Marc’s Taxi Services. Hi everyone I highly recommend Marc’s Taxi Service for any transfer throughout the island of St. Lucia. His services range from airport and dinner shuttles: it is commendable that he is always on time. Marc’s Taxi Service also provides Heritage tours island wide with an upbeat personality and thorough knowledge of the island. Marc’s Taxi Service vehicles are always clean with functioning air-conditioned interiors, so you can ride in luxury. If you prefer the windows down, Marc will not hesitate to oblige. There are many ways to see the beautiful island of St. Lucia and when you are faced with the decision rest easy in knowing that Marc’s Taxi Service is a wonderful option to go with. He makes good on his promise of “welcoming you to something different’, by providing unapparelled service with a smile. just back from a week in st lucia and just thought id leave a review of the taxi / tour service provided by Marc. We had a fabulous day touring the soufierre area and had an absolute ball, Marc is an absolute professional and provided so much information and help through the day it couldn’t have been better. Really knowledgeable and friendly guide. Professional and punctual too. Had a great time on my tour and really learned a lot. Would definitely recommend, and use Marc again on my next trip. My family have used Marc taxi service every time we travel to the island and had great experiences. Rates are competitive and the drivers were very flexible with our schedule. Mr. Gerrit Jn Baptiste is always punctual, helpful, and knowledgeable about events, restaurants, and the islands most breath taking sights. I would highly recommend to Marc taxi service to anyone visiting the island and needs a dependable driver to get them where they need to go. Punctual, knowledgeable driver, and overall great person. Gerrit is the best driver to take you around St. Lucia. Highly recommended!! 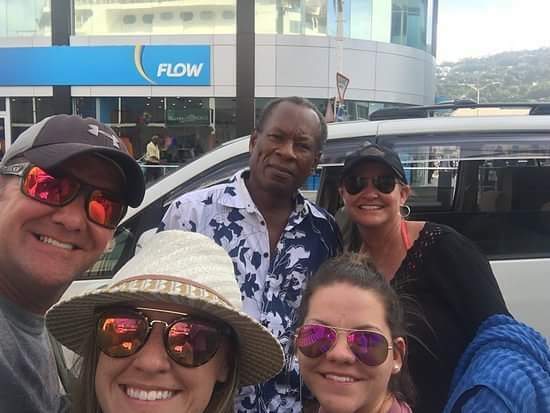 We originally met Gerrit (owner of Marc’s taxi service–Marc is his middle name) when we booked him to take us from Marigot Bay, where we had been staying, to Soufriere where our next accommodation was located. Gerrit is personable, professional, punctual, and his vehicles are impeccably clean. He has extensive knowledge of the island–not only the sites and the restaurants, but the local traditions, the flora and fauna, etc. It was not uncommon for Gerrit to illustrate a point by pulling over and showing us a cocoa plant or a pea tree. We were so impressed by his services that we booked all of our subsequent transportation through him. Gerrit’s business is family run…if he cannot personally drive you, he will arrange for one his family member’s to provide transportation. In this regard, we met his cousin Clyde, who we also found to be courteous and professional. Gerrit will tell you the “real deal.” He prides himself on steering you to the best the island has to offer and deterring you from anywhere he would not personally go himself. On our excursions, including the Tet Paul Trail, Gerrit accompanied us and enhanced the tour with his anecdotal information. Gerrit joined us on occasions when we stopped to eat or drink and shared more of his personal story with us. We trusted Gerrit’s judgment to the extent that when he suggested Petit Peak over another place we had been considering, we took him up on his offer to make reservations with an ideal table for us (and his girlfriend and daughter subsequently checked in with us at the restaurant to see how we liked it–which we did, very much). Based on this, we felt comfortable having him suggest a restaurant we should eat at on the way to the airport to fly home (he picked the Reef with great views), and he took us to a local liquor store to supply ourselves at less cost than Duty Free. Gerrit is an honest, kind person with a great sense of humor and extensive local knowledge. We’re glad to have met him and you will not be disappointed if you book with him. Marc’s taxi service with Gerrit at the helm is by far any visitors’ best bet for reliable, punctual service. The vehicle is always immaculately clean and Gerrit’s appearance is one that will woo you. 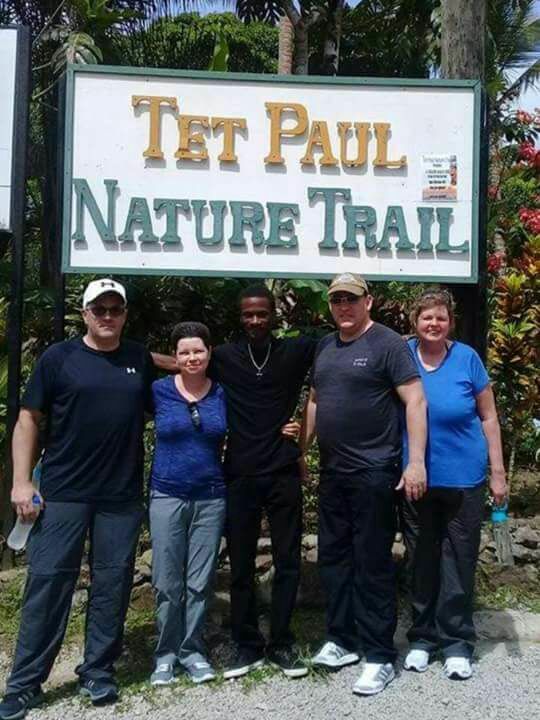 He has excellent knowledge of the scenic South and south/west coast and will make your visit to St. Lucia memorable. Impressed with the service. I would definitely recommend taxi service to anybody. Friendly staff. Excellent service! Will use again. I highly recommend Marc’s Taxi service to any potential customer. My experience has been one of punctuality, a clean vehicle, a safe and comfortable drive and the most courteous service. Driver Gerrit is quite familiar with the island’s attractions, particularly on the scenic west coast. Any visitors to the island would do well to choose him for any tours. Woww where can I start. Garriet is by far one of the sweetest people I have ever met. As this was an All Girls trip we were very careful in reading reviews and picking a trusted driver to drive us around the island. Garriet first picked us up from the airport along with some fresh coconut water. On the way to our villa (villa cybelle) garriet stopped to show us all the great views of st Lucia and provided so much information. He was so patient as we loved taking pictures….he was also our photographer lol. Garriet also picked us up on time every day to take us to most of our trips and excursions. He was always on time and very well mannered. The island is very mountainous and having a careful driver to make you feel safe is so important, he took his time while driving and we felt safe. On our last day garriet picked us up early and took us to have one last drink and a bite to eat at the reef which was very nice and relaxing. If you are looking for a trust worthy taxi driver he is definitely the one. He is very knowledge and knows the island very well…he only recommends the best of the best. If you have any questions please feel free to ask. My family’s vacation on St. Lucia was made because of Gerrit of Marc’s Taxi Service. Great personality, hardworking, wants to please, tailors to personal wishes, totally trustworthy, fun, positive attitude, well-liked by friends on St. Lucia…. everything good!! My hubby and daughter (who honestly do not like many people) absolutely adore Gerritt & think of him as a friend. Nice vehicles. He took us all over the island on a day tour. He also arranged for his business to transport us on another excursion with a different driver. You will not regret choosing Marc’s Taxi Service & meeting Gerritt. My husband and I have the pleasure of going on a custom one day garden tour with Gerrit. He put together theitinerary and schedule the stops. We so many beautiful flowers and plants and met such wonderful and knowledgeable people who were excited to share them with St. Lucia with us. Gerrit took care of everything including a lunch at a local plantation. He picked us up at the hotel and stayed with us the entire day. Timely and efficient he did not rush us but also planned a well-thought out day to ensure our enjoyment. 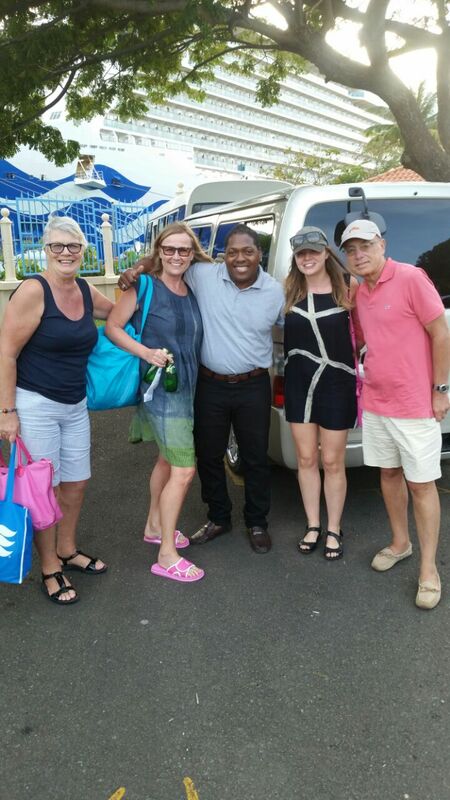 We are looking forward to returning to St Lucia and will definitely hire Gerrit for all our taxi/touring needs. As a born St Lucian living in England the only taxi driver I trust fully with my life and expect intelligent conversation is Gerrit, Mr Marc Taxi himself. His professional mannerisms and safe driving on unsafe roads have me believing that he is the only taxi driver that matters. Thank you Mr Marc Taxi for always keeping me and my family safe on the roads of St Lucia!! Hi Everyone, This guy runs a great taxi service. My wife and I were in St Lucia for two weeks and he took us to many awesome places. He knows everyone and knows where the good spots are and what’s best for your money. Very clean taxi’s and very organized business. Don’t pass him up! Hire him to take you around you will never find a nicer guy and you won’t be disappointed. We were very happy.